I am very new & I was wondering does having alcohol in your system HOURS BEFORE you do work or drinking THE NIGHT BEFORE, affect your work? I don't drink much, I drink occasionally but I do work EVERY DAY and i want to make sure if alcohol affects it or not. As long as you are not hung over and feel good, you're probably OK. Alcohol affects everyone differently. It does not sound like it is causing a problem for you. Make sure you are taking care of your health by sleeping enough and eating right. Mama Micki wrote: As long as you are not hung over and feel good, you're probably OK. Alcohol affects everyone differently. It does not sound like it is causing a problem for you. Make sure you are taking care of your health by sleeping enough and eating right. Using Alcohol in Conjure is a longstanding tradition. I have heard of some Rootdoctors imbibing for a better connection to spirit, and also Alcohol is commonly used for paying spirits as an offering. Use in moderation though, as Alcohol can help in lucid thinking and spiritual experiences, but over using it can cause complete loss of ability to properly function. Be responsible with the Alcohol and know what is a good amount to aid and what is too much. I second everything Apollo said. I have had amazing results stone sober....as well as under the influence. Never overdone though, of course. 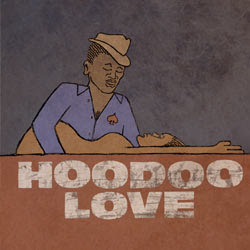 Hoodoo also draws from folk medicine, of course -- which used to be standard medicine, centuries ago. And the use of alcohol tinctures of herbs is ancient, and has lasted into the 21st century. There are many recipes for herb-dosed whiskey or brandy that have magical uses, of which you take a teaspoonful every day. Unfortunately I can't call any specific examples to mind just now. I know one of them was to mantain male nature -- and no, it did NOT have John the Conquer in it! The other major junction of alcohol and hoodoo is folk cures for alcoholism. WOW thank you ALL for the wonderful answers! You are very welcome. That's what we are all here for. I love when the different voices of the forum come together to help answer a question. Very nice indeed. One Male Nature alcohol preparation is Juniper Berries in Whiskey..
Khonsu Mes is correct! A female nature version is Angelica Root in WHiskey. A protection tincture i was taught in Oakland in the 1960s is Devil's Shoe String Roots in Whiskey. Whiskey is the alcoholic vehicle in hoodoo, and the use of whiskey serves to distinguish down-home African American practices from those of other cultures, for the simple reason that the distillation of spirits in the USA has always centered on grain alcohol from locally-grown grain species such as corn, barley, and wheat. The distillation of fermented grain mash produces whiskey, which has a long history of use as a tincturing vehicle in American, English, and Scots-Irish folk-medicine and magic. 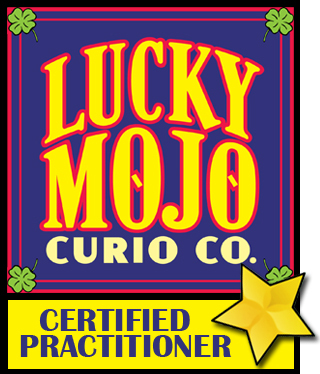 Hoodoo practitioners do not make use of distilled spirits of fermented sugarcane byproducts (e.g. rum, used in Afro-Cuban folk-medicine and folk-magic, or distilled spirits of fermented potatoes (e.g. vodka, used in Eastern European folk-medicine and folk-magic), or distilled spirits of fermented agaves (e.g. tequila, used in Mexican folk-medicine and folk-magic), for the simple reason that these regional forms of distilled alcohol are not part of the cultural inheritance of hoodoo. The use of distilled spirits of fermented wine-grapes (e.g. brandy, used in central European folk-medicine and folk-magic) is found very rarely in hoodoo, but it did gain some traction due to the popularity of brandy as a sort of "nicer-tasting" substitute for whiskey in medicinal tinctures to be ingested by those who do not ordinarily consume alcohol. The list of things I have soaked in alcohol for magical reasons/results is never-ending! Great discussion here...I learn something new as usual. Moonshine is simply illicitly produced whiskey, Apollo Dark -- and like all whiskeys, it is a grain-based spiritous liquor which is Scots-Irish in cultural origin. It is not a large component in hoodoo, being mostly found among Scots-Irish people in the rural mountains, but african Americans also manufactured it. It came to prominence during the era of the Volstead Act ("prohibition") during which time it was illegal to manufacture spiritous liquors. Other names for moonshine include white lightning, mountain dew, white mule, and block-and-tackle. "White Lightning" by George Jones, "Mountain Dew" by Uncle Dave Macon, "Block and Tacke" by Washboard Sam, and "The Death of Holmes' Mule (Parts 1 and 2)" by Winston Holmes and Charlie Turner are four popular songs about this form of liquor. The last-named also contains some scandalous parodies of African American gospel music, as the "moaners" prepare to dig up Holmes' Mule from the grave where they had buried it for safekeeping. Just make sure to watch out for that ole Jake-leg. Wow, this thread hasn't been active in a few years! I hate to bump it but I just wanted to say that I'm glad I stumbled upon it because it answered just what I was looking for - sort of. Could one perform a spell while MILDLY under the influence (ie. Alcohol)? Does that affect the energy of the spell in a negative way (Even if one does not act out negatively under the influence) or could it actually enhance the spell by releasing the intent and emotions that would otherwise be inhibited while one is sober as well as making it easier to possibly get into an altered state? Any thoughts or better yet is there anyone who has actually done this? I would still like to know if anyone here has tried it (that is, IF you drink alcohol!) during a spell and got any results that seemed to be enhanced by it. It's an interesting question. I have done spells after smoking weed, (not too much, just a mild buzz), but alcohol over-affects me to the point that i fall asleep, so i have nothing to report on that score. And remember, one person's mild buzz is another person's total stoned melt-down. And vice versa. So i think this would be very individual. Driving a car while measurably drunk or stoned is not a good idea due to the potential for carelessness. I think the same might be the case with spell-casting. Then there is the matter of so many conjure works being advised for dawn. A guy or gal who was drunk at dawn would very likely be an alcoholic, not just someone who gets a buzz on. I mean ... drunk at O'Dark Thirty? Really? LOL! My suggestion -- try it both ways and see if you notice a difference. LOL! That was hilarious! Crazy thing is, you would be surprised at how many people get an early start like that lol. I do drink alcohol on occasion, and more than enough times I have been mildly intoxicated and felt as if "The Veil" between this plane and the spiritual plane was being thinned out - so to speak. You feel as if you are reaching a higher plane of energy, in other words. I feel as if being slightly under the influence (depending on the person at hand, and in this case I'm only talking about myself) could possibly get a stronger energy into a spell and possibly get better results too. The emotions behind it wouldn't be as inhibited. I think that I am going to try this during my next spell to see what happens, but I will try to run a "Test Spell" of sorts before I try anything major, for safety purposes. Very interesting! I have to say I have never been under the influence while doing any spell work. My therory is that it is called a control substance for a reason and alcohol being a depressant can cause a change in a persons outcome. Well try it out and let us know what your outcome is. My take on it is that in development of the Four Branches of Crystalomancy as taught by Mr. Claude Conlin (founder of the Crystal Silence League), he advised against "indulgences" such as alcohol or intoxicants of any kind. For myself, I don't drink, smoke, and I only chase one woman. Of course, as always, your results may vary. I have searched the forum high and low for an answer to this question, forgive me if I am not submitting this in the correct place. My twin throwed a curse on me, and it has truly made me suffer. I am finally receiving a shipment of the proper things to fix this mess, but sadly I have a blood disorder that causes me severe pain once in a blue moon. I am concerned that if I perform my first of three baths after taking prescription pain medication it will effect the outcome. As soon as I get the package I am fixin to jump in my bathtub and help myself as best I can. Should I wait for a day when my symptoms and pain pass so that I have no narcotics in my body, or should I begin my first bath as soon as I receive my products? I very rarely use mind altering substances but the pain medication sometimes causes me to feel cottonheaded. I truly appreciate this forum and have learned from it so much, thank you to everyone here for guiding so many of us. I am sorry about the pain and curse. It is good news you have ordered the items. The medicine should not effect the outcome as long as the prayer and intent is there. The drug in the body will not hurt the work, you need to be awake and coherent and able to do the work which is needed. We are not medical professionals therefore we cannot tell you what to do with medicine. If you dont use it often then take the bath. If you need to then continue the work the day after the medicine. You can also order the oil and incense and dress your body with that when you need the medicine for the medical condition, this way you still are able to work without skipping meds.